There is nothing more devastating than when one’s family or loved one suffers from a stroke. A stroke occurs when the brain is deprived of blood either due to the blockage of arteries or a rupture in a weak blood vessel of the brain that causes blood to leak into the brain. In either case, the brain becomes deprived of proper blood flow, leading brain cells to die. The quicker a stroke is diagnosed, the quicker doctors can treat the patient to supply proper blood flow to the brain in order to mitigate the effects of a stroke. 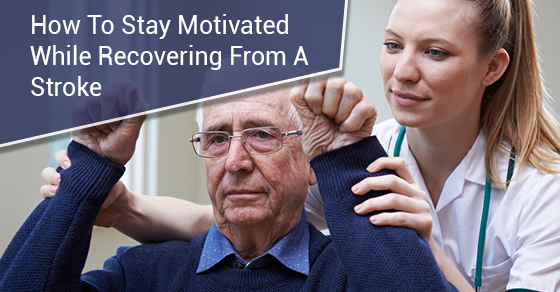 In many cases, patients need to undergo rehabilitation to recover from one. Depending on the type and severity of the stroke, patients may need physical therapy to relearn movements and coordination needed for basic tasks like walking. Strokes can affect a patient’s ability to communicate and understand speech and thus, may require speech therapy to either regain their speaking – or other communicative – abilities. Stroke patients often need help to relearn everyday tasks like eating, dressing, cooking, bathing, writing etc., plus to regain the ability to function on their own. Stroke not only affects patients physically but mentally, as well. It can be depressing and frustrating to have to rely on others for simple, mandatory tasks like eating or bathing. Support groups can help ease this pain sharing common experiences can reassure one another by knowing they are not alone and see others who have been where they are. Many stroke patients will require long-term care during and after recovery, either at home or in rehabilitation centres. Patients who suffered mild strokes may be able to go home and have a healthcare provider visit to help monitor prescriptions and with household chores, bathing, etc. Patients who suffered severe strokes may need to spend time in a rehabilitation center where they can be constantly be under skilled nursing care and receive therapies as needed. Rehabilitation centers are also a good choice for patients who lack the necessary help from family or friends that home care would require. For more information, call C-Care today at 1-416-724-2273 or contact us here.